I am so looking forward to shooting the Spring Mini Sessions on Saturday June 3rd at a location to be determined based on the blossoms. There are 7 spots remaining and I’m so thrilled to be photographing these in June! 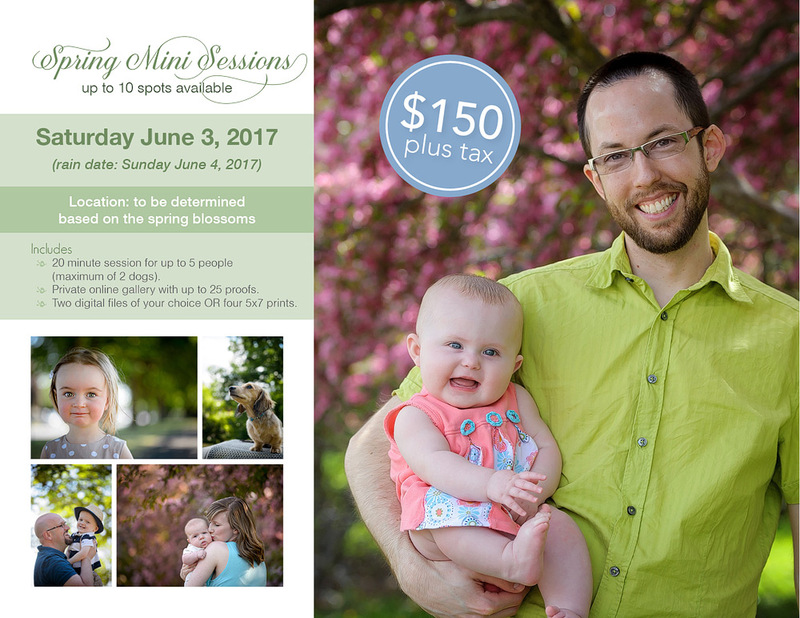 For more information regarding all of the Mini Sessions for 2017, click here to view the pdf Studio Guide. 20 minute session for up to 5 people (maximum of 2 dogs). Private online gallery with up to 25 proofs. Two complimentary digital files OR four 5×7 prints. Book your spring mini session!